Everyone in mobile knows that to sell something on the iOS platform you must pay your 30% tax to Apple, and that Apple has final say over whether your app will be published to iPhone users – they have control over the developer’s destiny. But just how much control do they really have? Amazon recently had to remove all ways to purchase books from their iPhone Kindle app, effectively turning it into a free, basic viewer with no store. This was partly because the app failed to use the compulsory iTunes in-app payment API giving Apple their 30%, and partly because Apple saw Amazon as a competitor. If Apple can do that to a huge company like Amazon, they could certainly remove a smaller company from their store if they wish. Fortunately Amazon customers already knew to go and buy their new digital books from the Amazon website and that those books would magically show up on the free iPhone Kindle app. 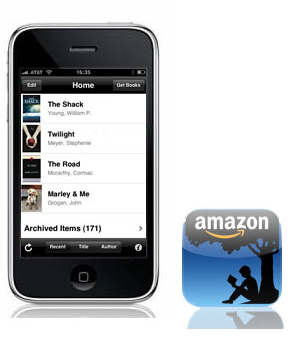 But, even if Apple eventually removes the free Kindle book viewer from their app store altogether, Amazon has the technology to deliver a reader using the latest HTML5 web technology and there is seemingly nothing Apple can do to stop Amazon. Like Amazon, an increasing number of innovative companies are staying clear of native apps and old-school physical downloads, choosing instead to keep their latest offerings up in the cloud, and cloud computing is growing fast as a result. By delivering books, music and other media on demand using the latest web standards those companies avoid the Apple payment rules and get to keep significantly more money. The Financial Times is a good example of a leading company avoiding Apple restrictions, they recently pulled all apps from the app store and now deliver subscriptions to their paper via HTML5 technology, and rather good it is too. Psonar go one step further by selling music to iPhone users; especially interesting since Apple is most famous for selling music through iTunes, pre-dating smartphones sales. 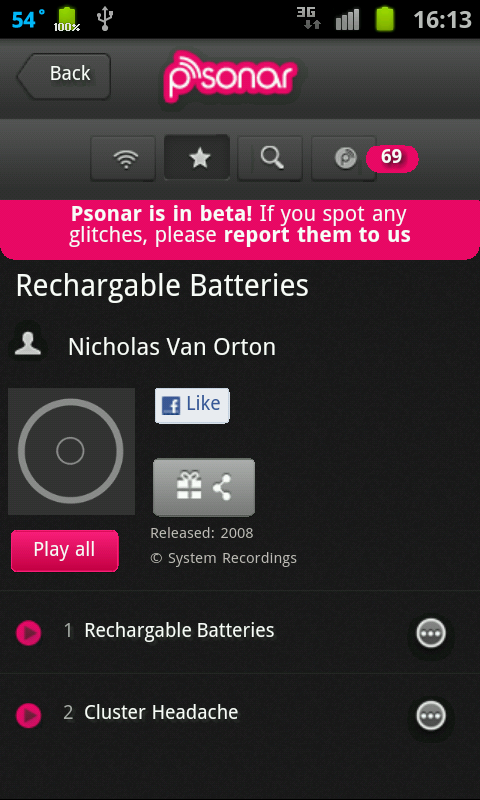 But rather than selling tracks to download like Apple, Psonar innovatively uses HTML5 to stream the track from the cloud on a 1c pay-per-play basis. You can top up and play tracks yourself or gift them to friends. They even let you pay with one click using your mobile phone bill with Bango Payment. It is easy for Apple to completely control native apps on their devices, they approve each app for inclusion in their store and manage the download and installation process, which makes it easy for them to impose their 30% share. But on the web it is a different story, the web is inherently an open environment and Apple needs to deliver an advanced, desktop-like web browsing experience to compete. This makes it very hard for them to stop innovative companies selling cloud based media or services using HTML5 technology directly to iPhone customers, all outside of Apple control and revenue shares. 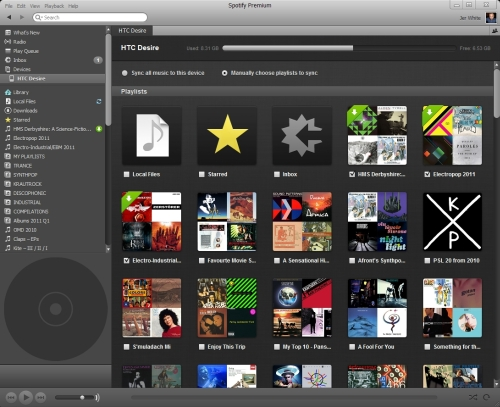 A recent announcement that caught my eye was the new HTML5 developer platform from Spotify. Like Facebook, Spotify has standardized on HTML5 as the developer platform of choice. Spotify is incorporating the power and popularity of HTML5 within their popular music streaming apps to enable developers and music publishers to add value into the Spotify platform. This approach makes a lot of sense as it means Spotify can deliver an advanced, open standard driven solution, across all their apps and on all mobile platforms, which encourages the maximum innovation with the minimum effort. But adding HTML5 capabilities into your app is like opening up a back door into the Apple world. A developer could write an HTML5 add-on for the Spotify app that directly goes against Apple regulations, perhaps using Bango’s HTML5 compliant mobile payment platform to sell products to the Spotify customer outside of Apple iTunes. I can’t imagine Apple being too happy with that. As a result Spotify will need to monitor and control the add-ons they allow, effectively limiting innovation, at least on the Apple iOS platform. Without this, they would risk Apple rejecting the whole Spotify app. If the Spotify platform allows dynamic content, they will also need to continuously monitor these add-ons for subsequent changes that may breach Apple regulations. It will be interesting to see how many companies like Spotify or Facebook will be prepared to monitor and control the apps and add-ons for their development platforms on iOS. It will also be interesting to see whether platforms like Android or BlackBerry remain more open and encourage greater innovation, or begin to impose restrictions of their own as some are suggesting. Either way, HTML5 is increasing in momentum, making it harder for device manufacturers or mobile network operators to exert controls and enforce their own revenue share. I suspect that the only way that companies like Apple can hope to continue to retain control is to start censoring and blocking websites and HTML5 apps that breach their rules, i.e. those that attempt to collect payments outside of the approved store. I can’t imagine any form of web control or censorship will go down too well with developers. In the meantime I encourage all innovative mobile companies to try out Bango Payment from their HTML5 site, app or service – gain control and earn more. This entry was posted in app store, Apple, html5 and tagged mobile billing, mobile content, mobile payments. Bookmark the permalink.